I made this as a gift for an almost-3 year old daughter of a friend of mine. 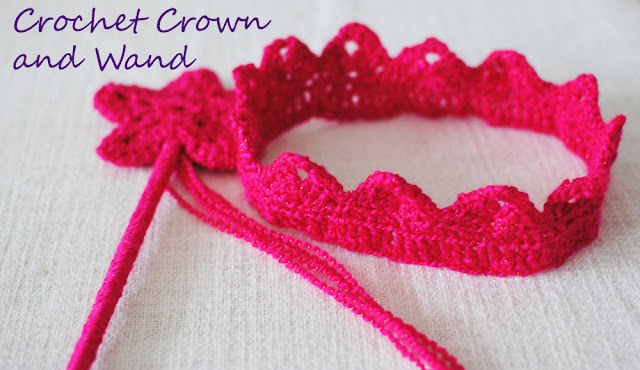 I remembered seeing somewhere a crocheted crown and thought that would make a great present. So I gathered some inspiration and then I attempted my first crown. I made it with some thick acrylic yarn I had, but I made it way too big -it fit my husband! And the thick yarn wasn't giving the look I wanted so I went hunting for some more suitable wool/yarn. I wanted some yellow or gold however the selection locally isn't huge and I didn't have time to go further afield but I found this hot pink yarn with sparkly thread in it. I love the addition of the sparkle but the wavy-ness of the yarn made it more difficult to work with (a heads up if you're thinking of trying it!). This youtube video helped me get started on the crown. Video is great for learning! Especially as I haven't quite got the hang of following actual patterns yet (and I'm still confused by the european vs US terminology). And then although I can't quite follow a pattern yet I still understood enough of this free pattern to help give the points on the crown some extra definition. 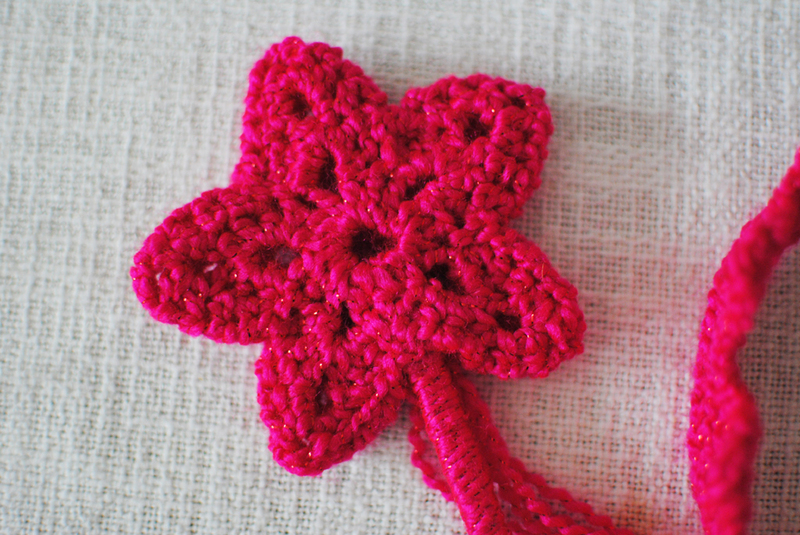 I used the tutorial on youtube here for the star. She crochets way faster then me so I had to pause the video like a million times. 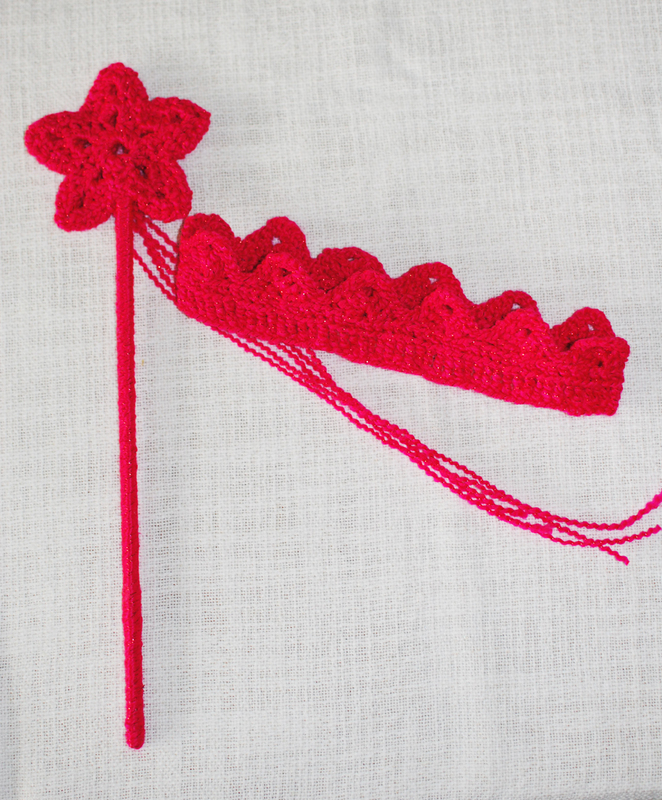 I crocheted two stars and then just whip stitched them together leaving enough of a gap to push the wand handle in and secure with glue. The handle is made from three wooden kebab sticks, glued together and covered in the yarn. I thought it all came out pretty well and and I have video evidence the little girl loved it too!